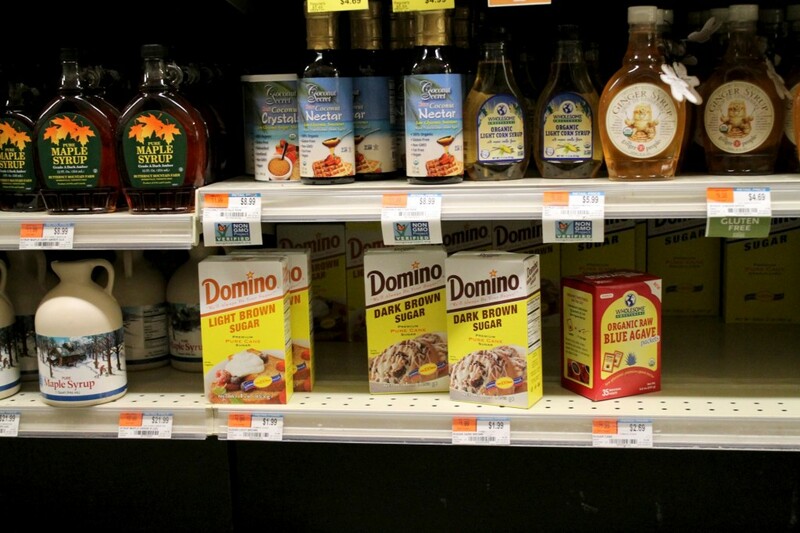 For most students, college is the first time we face the task of grocery shopping on our own. It can be a scary but exciting experience filled with impulse-buys and the discovery of foods and ingredients you never knew existed. It can also however, be just as pricey, which is why we’re sharing some of our favorite money-saving tips for the next time you navigate the grocery aisles. Bulk bins are your friends. Start your shopping trip here if your local store has them. Items here are cheaper than their packaged counterparts because you’re not paying for all that packaging or advertising. At Whole Foods, you can even find fresh-grind peanut butter and almond butter in the bulk section for cheap. Bonus: because the nut butters are ground right there, you don’t have to worry about pesky added ingredients like hydrogenated oil and sugar. When you’re comparing the price of a similar item, check the unit prices, which can be found on the left side of the price tag, usually in red or orange. Unit prices tell you the price per ounce, package, 100-count, quart or other unit of an item and can be helpful if you’re trying to decide which item is a better deal. For example, if you’re comparing prices of different sizes of yogurt (maybe an 8 ounce and a 6.5 ounce), check the unit price to see how much you’re paying. 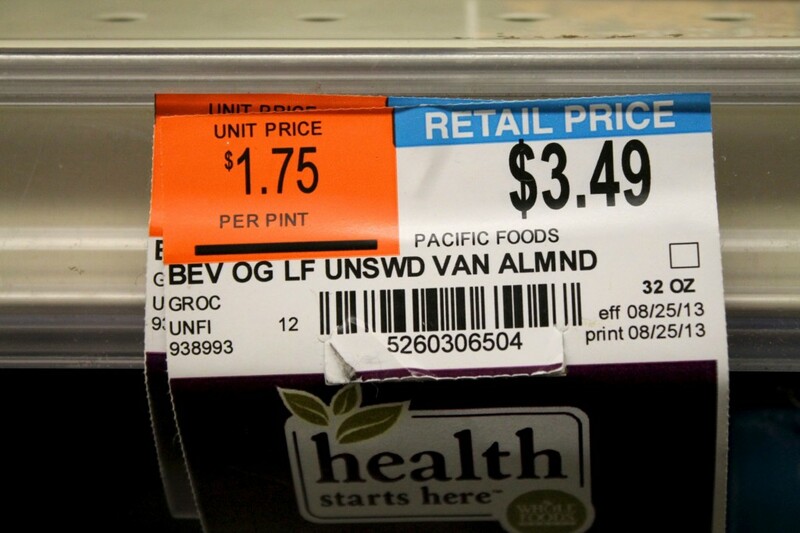 The 6.5 ounce container’s retail price may be cheaper, but chances are the store charges more per unit. 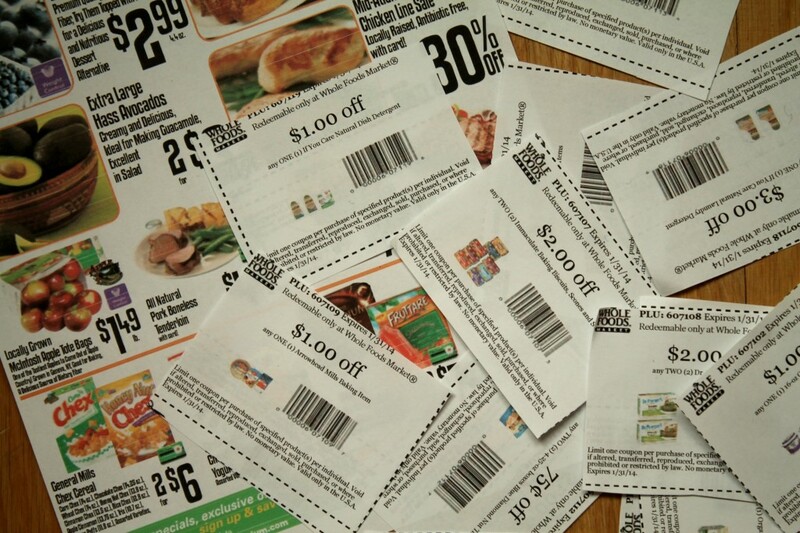 You don’t have to be an obsessive couponer to clip out a few deals and save a couple of bucks. Check your local store’s weekly circulars or sign up for email coupons and deal alerts. Don’t think $0.70 off granola bars is worth much? Just think of the extra shot of espresso you could get during finals week with that. 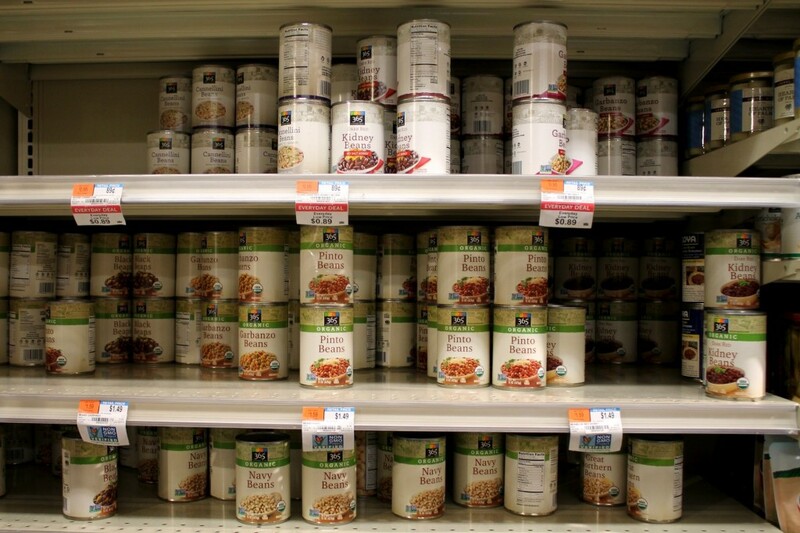 Store brands are almost always cheaper than most brand-name goods, especially when it comes to canned items. For basic cooking needs–canned vegetables, beans, condiments–store brands are a perfectly fine option. Save your gourmet splurges for more special buys. Grocery stores like to stock the highest-profit items and impulse-buys at eye level because shoppers are less likely to look elsewhere for an item. Always check the top and bottom shelves for the best deals.